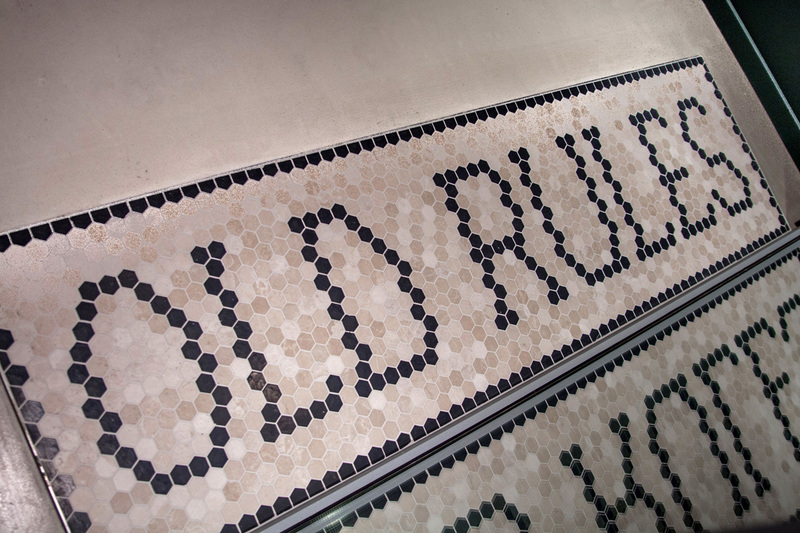 Old Rules once started as a tattoo shop in a basement in the beginning of 2013. In the fall of 2014, the owner – Karan Sarin – moved the shop to the center of Leuven and combined it with a barber shop, which resulted in the identity design I made that year, which you can see below the line. In 2018, Karan wanted the identity design to focus more on tattooing. That's why we decided to leave the handwritten lettering and typical art deco typography behind and go for a more modern look. I only kept the stylized tattoo needles from the previous design and combined them with an old style condensed sans serif font, which kind of reminded me of the typography on old factory machines. This is the original identity design for Old Rules from 2014. 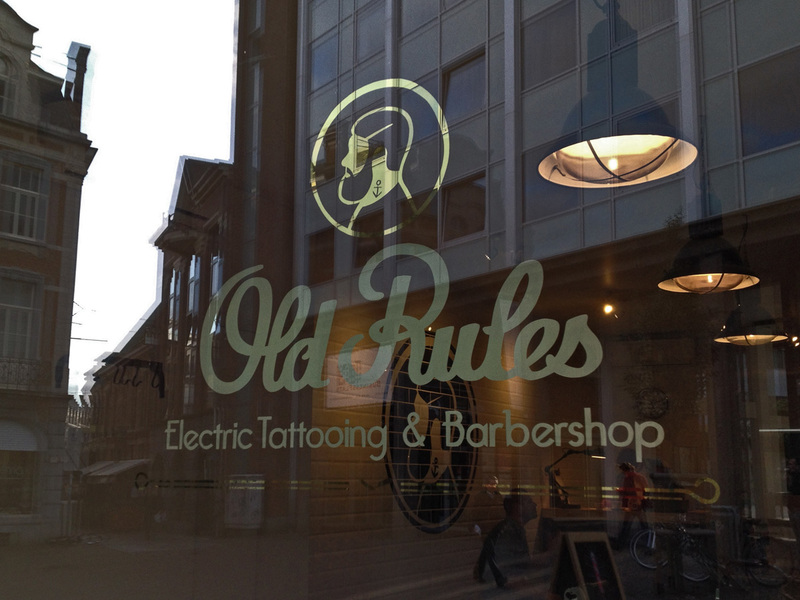 Old Rules was already a tattoo parlour in Karan's basement since 2013, but since was going to move the shop to the center of Leuven in october 2014 and it would also become a barber shop, a new logo was needed. It seemed best to have a recognizable logo besides the text logo, which could also be used on its own without the lettering… So I searched for something that would immediately show the ‘double identity’ (tattoo shop and barber shop) in one image. What I came up with, was the image of a bearded man with a fresh haircut and a neck tattoo. Since the name Old Rules actually came from the title of a Hot Water Music song, I based the guy’s profile and hairline on the singer of Hot Water Music – Chuck Ragan.